MELBOURNE, Australia — Australia clinched the women's Cup of Nations title with a 3-0 win over Argentina on Wednesday. 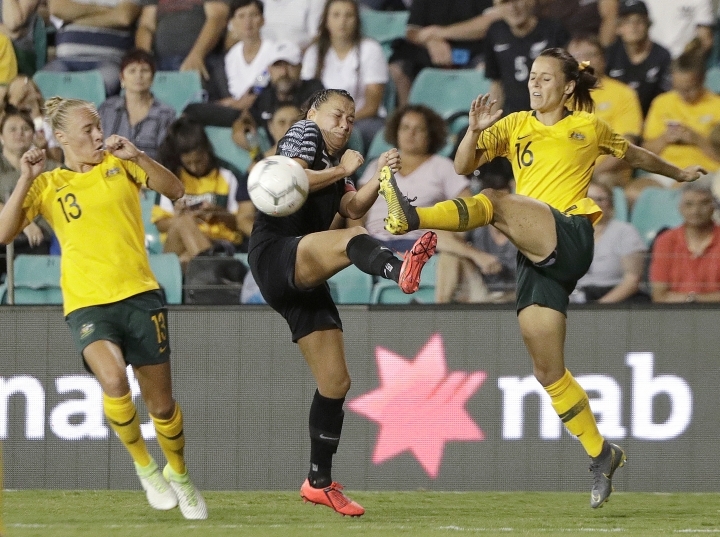 The Matildas, who won their opening games against South Korea and New Zealand, outscored the opposition 9-1 across the four-nation tournament. Captain Sam Kerr scored with a header from a corner kick in the fourth minute and Alanna Kennedy made it 2-0 in the 33rd against Argentina. Caitlin Foord completed the scoring with a penalty four minutes into added time. 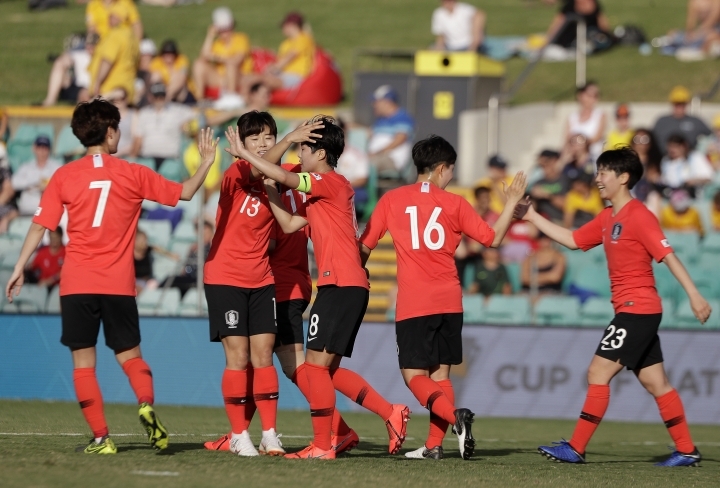 Earlier, substitute midfielder Ji So-yun's long-range strike helped South Korea to a 2-0 win over New Zealand. 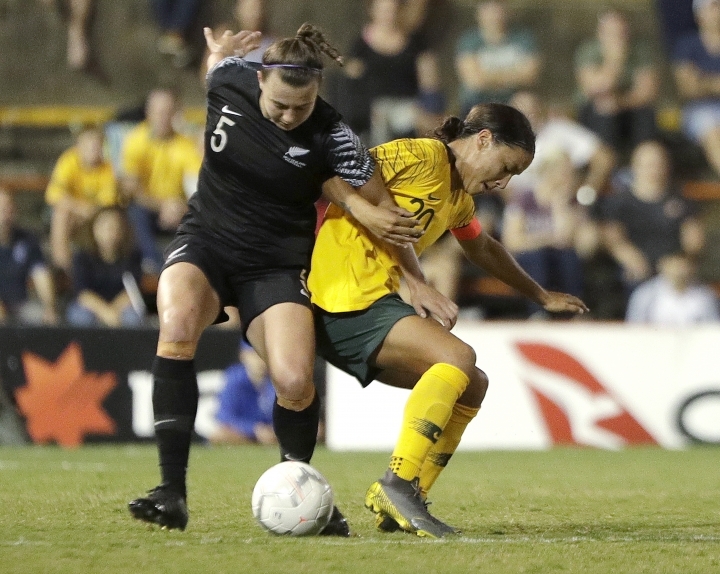 Ji came off the bench to turn defender Rebekah Stott inside out before firing a shot past New Zealand goalkeeper Erin Nayler in the 74th minute. Another substitute, Moon Mi-ra, pounced on an error from Nayler to score South Korea's second goal with three minutes remaining in regulation. The Cup of Nations was a warm-up tournament for the World Cup in France in June.